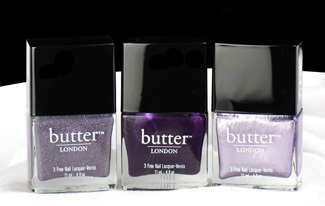 The Polish Jinx: The Butter London Royal Trio - On Sale Now. 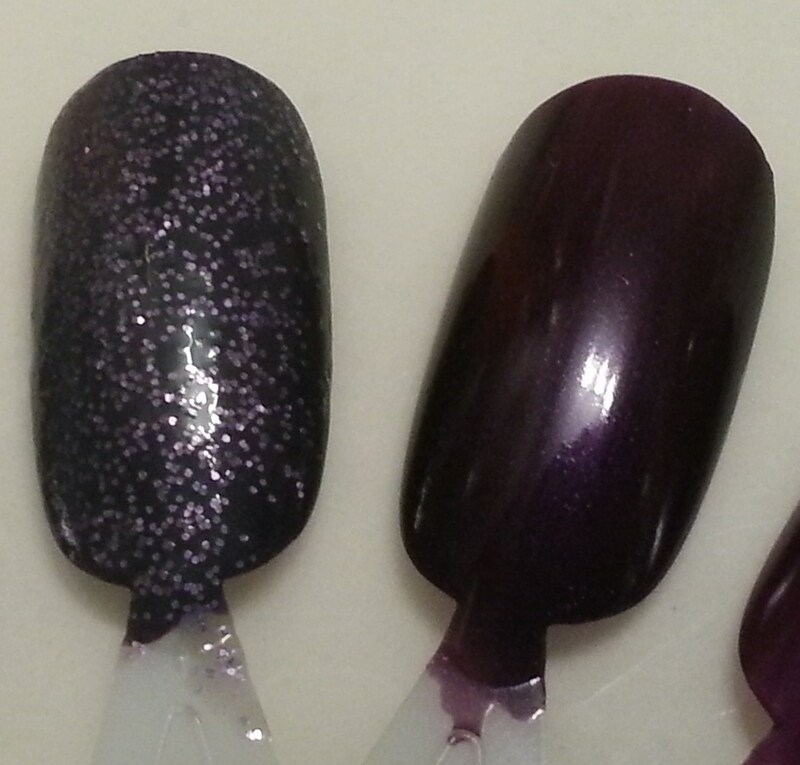 Now all of the royal lacquer colours are your fingertips with The Royal Trio. 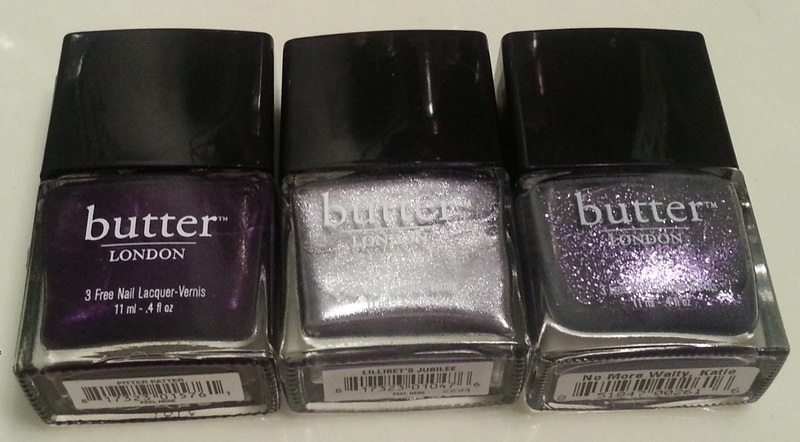 Collection includes No More Waity, Katie , Lillibet’s Jubilee, and Pitter Patter. Now the formula on Pitter Patter is SUPERB. Lillibet’s Jubilee is shockingly amazing also. I say shockingly because it is a metallic foil looking polish. And as such you would assume it to be a streaky mess. Or at least I would. And I was wrong. Its actually very easy to apply which was unexpected and its a lovely silvery purple. 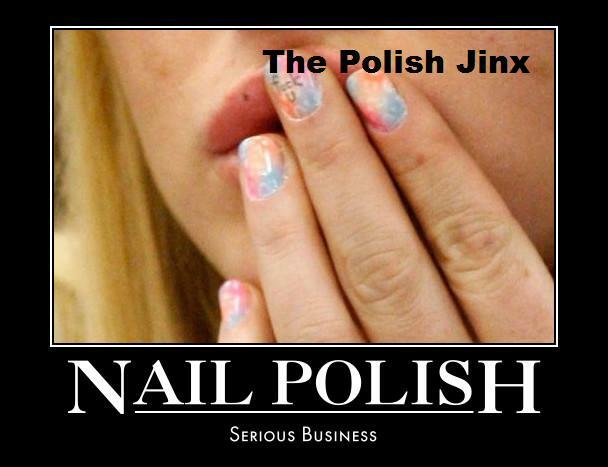 And as for No More Waity, Katie................. it's a gorgeous polish. In the bottle. Applied it may be one of the worst colours I have ever ever used. Its clumpy and it has drag, its a nightmare to apply. 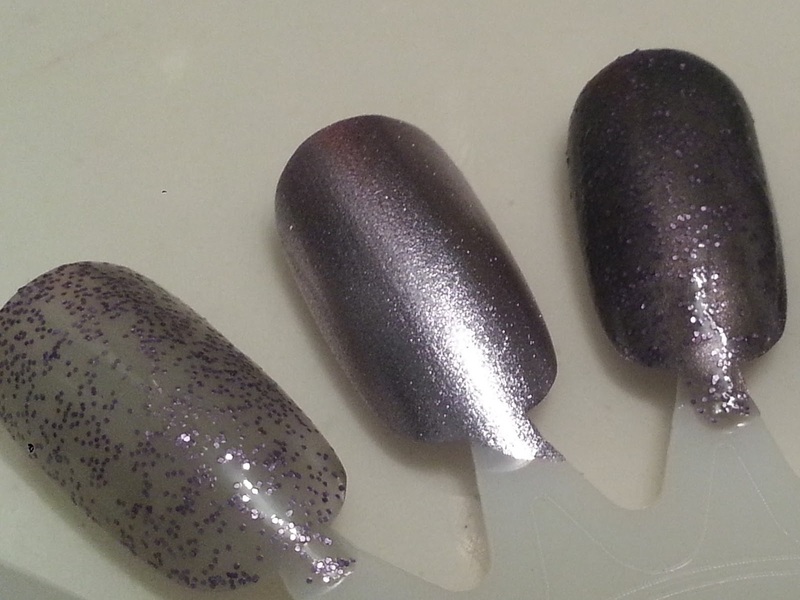 But a greyish purple glitter top coat that is amazing looking. 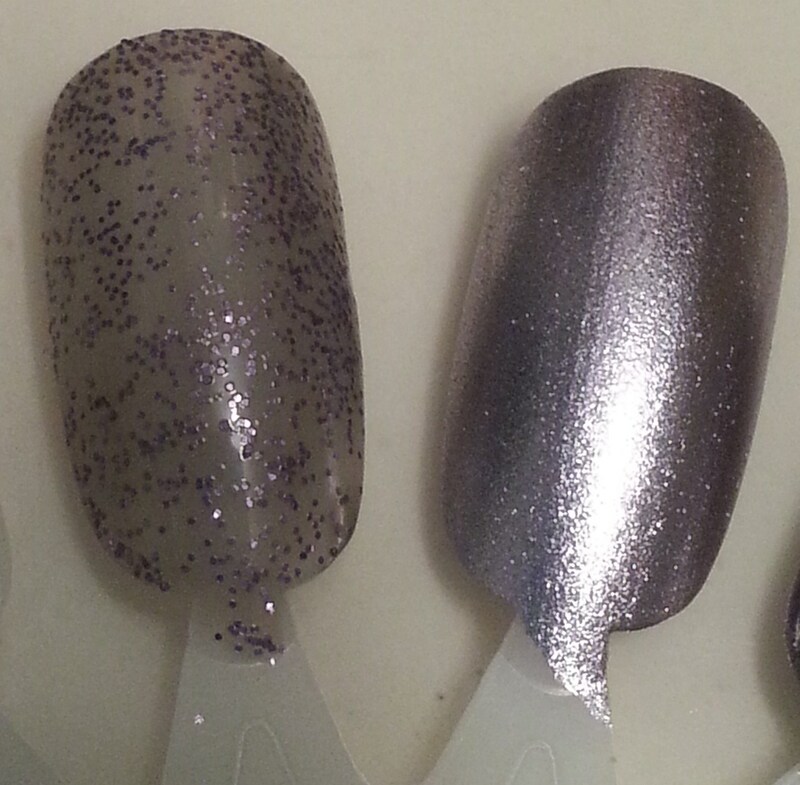 Here is No More Waity, Katie which is a pretty purple glitter top coat with a murkey grey base coat. And beside it is Lillibet’s Jubilee, which is shown with one coat. And its so pretty! Above is Pitter Patter with NMWK on top! And here is NMWK, Lillibet’s Jubilee, and Lillibet’s Jubilee with NMWK on top. Available here at BUTTERLONDON.CA for only $44 for the set which I think is really reasonable for the set of three!!! I hated NMWK the first time I swatched it on a nail. Then I tried it as a top coat over 2 coats Essie Chinchilly...totally different polish. Instantly went from worst to best. 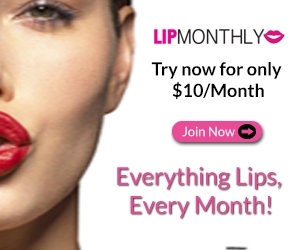 Plus you don't waste a bunch of it trying to get it Opaque. Sparkles smooth out instantly and are not clumpy. Can't say enough about using it as a top coat over a similar colour. 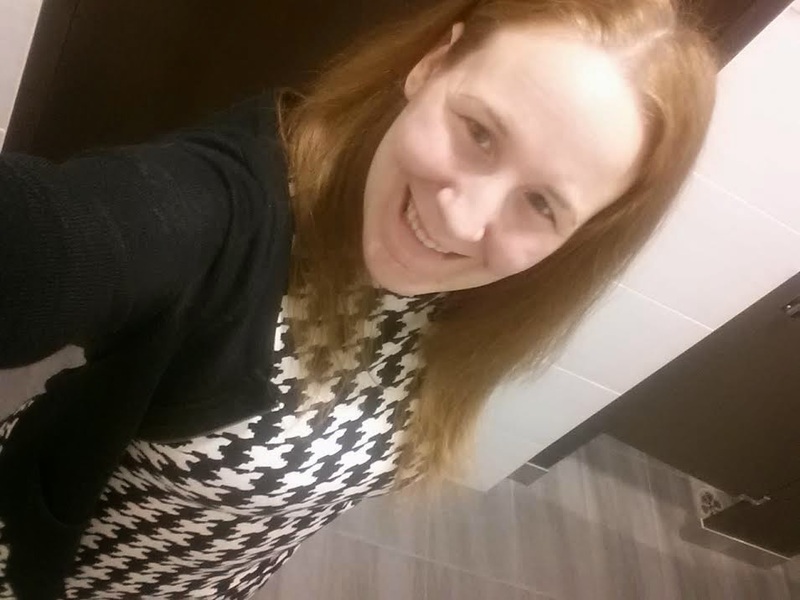 I like your version over pitter patter as well, nice complimenting contrast! Thanks for doing this. I wanted this set for LJ but wasn't too sure about NMWK because I don't tend to like transparent polishes. I've placed my order. It makes a great topcoat!